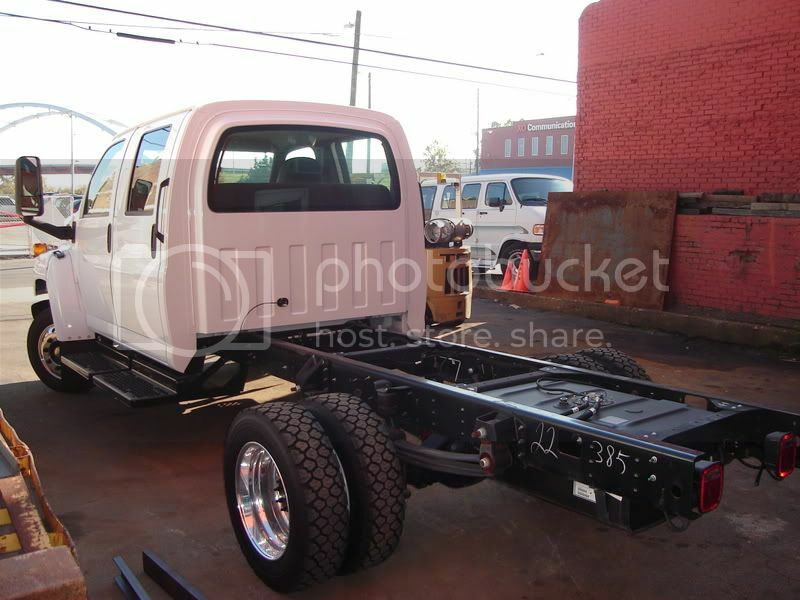 Dan, you can get the F550 in about the same physical size as a 1 ton dually cab and chasis, literally. 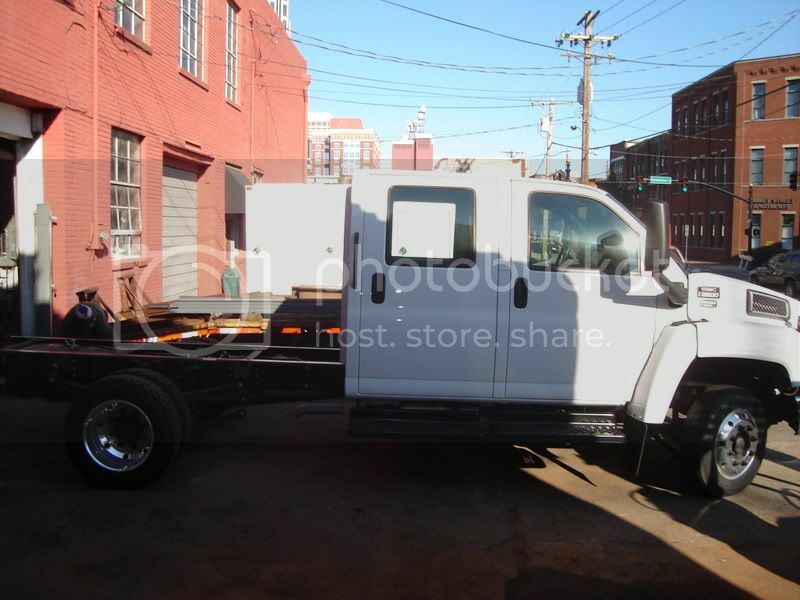 Are you sure you weren't looking at a F650? I've had a pipepro for almost 4 years now. I was having a code issue, HELP 1, and the factory finally sent me a replacement, a demo model, $0.00 swap-out. All that I carry on the truck is a welder, bottles, rods, cutting equipment, and a small selection of tools, jackstands. I gross at 10,450 last time I scaled it. If I buy a new truck, it will be an F-450. Dan in a small way I think your comparing apples to oranges. After knowing JT for 2-years (on these boards) and bfootn for just a little longer, (and have met) these guys and most likely yourself are what I call hard-core pipe liners. I remember JT commenting one time about his truck that a pipe liner doesn’t want a big / long bed, reasoning being when they cut the roads / access for the pipe lines there is just not much room. That statement right there rang a bell with me. When I was a kid my dad was a pipeline-welding inspector for the San Francisco water department. I remember going to work with him in the summers. What little I know about pipeline work, I would have to agree 100 %. Now on the other hand you have the guys like J-hall, calweld and some other that I would group into the heavy equipment mechanics, who need the big trucks because they have to carry just about every tool under the sun, where as JT, bfootn, have said time and time again they only carry the essentials for welding. I have a F-550 with the longest wheel base they offer, might make an all right mechanics truck, but maybe on the light side, but for a hard-core pipe liner, I don’t think so. The turning radius on my truck is horrible. But like coalsmoke says you can get a 550 rough fully the same size as a 1-ton dully. My 550weighs 14,500lbs and I don't carry more than what I think I need. **** yeah awsome truck is it 4wheeldrive? looks high enough to be. man you could turn that cab into a sleeper. or an office.. maybee both. hmmmm..... ........ i'm going to have to order a bit more fabric. I'd like to have a new 5500. But I like the 108" CA (cab to centerline of axle) because that allows me to keep the bed I have on my 2003 5500. I'm looking forward to 2007 and hopefully things will continue to be good and I'll get one of those. I'm looking forward to the six speed Allison. Coalsmoke, they've been talking about Dodge starting to make trucks for years now, don't hold your breath. Eric that’s a nice looking truck ! I was at the county fair couple years ago. One of the local Chevy dealers had a booth there. Had a few 4500’s and 5500’s. I sat in one just because it was there. Really nice, I liked the cab layout a lot better than my F-550. I just don’t like how tall those trucks are, and then how low they set to the ground . I asked the salesman about a trade in of my F-550 for one of the 5500. What a deal he made me. I would give him my 550, and buy his 5500. That is a real nice truck.. Now you just need to fab a cool bed for it.